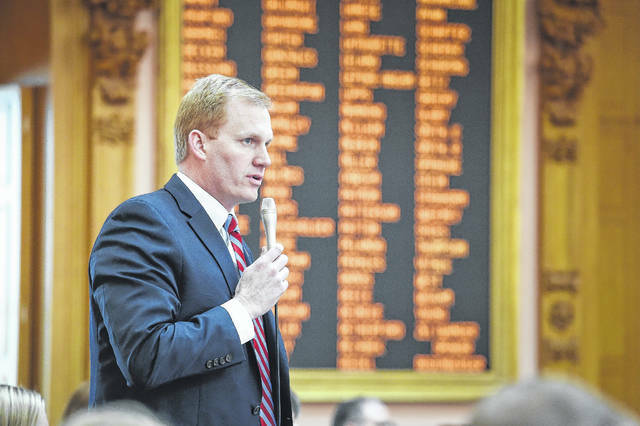 State Representative Ryan Smith (R-Bidwell) addressed the Ohio House of Representatives. COLUMBUS —The Ohio House of Representatives has passed legislation to help expand high-speed internet access to rural areas across the state. “The overwhelming bipartisan support of House Bill 378 demonstrates Ohio’s resolve to not fall behind in encouraging and supporting broadband infrastructure investment, especially in the hardest-to-serve areas,” said Smith, who represents Jackson and Gallia counties, as well as portions of Lawrence and Vinton counties. After evaluating the applications, the DSA Director would award grants based on certain criteria to qualified applicants in geographically dispersed regions of the state. Grant amounts cannot exceed 50 percent of the project’s total cost or $5 million, whichever amount is less.